After a year's hiatus I am back. 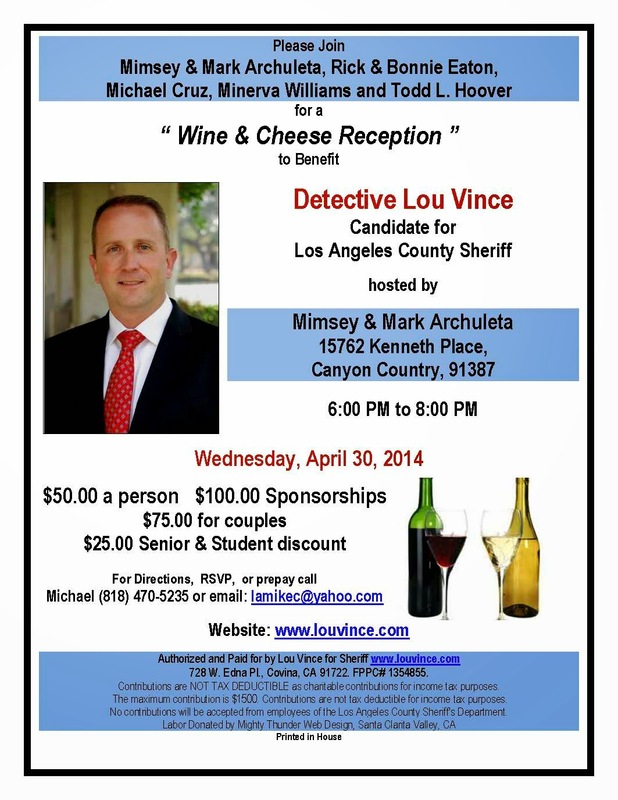 This is a major gathering of education and community outreach to hear Los Angeles City Police Detective Supervisor Lou Vince address the Canyon Country area residents on his bid to become the 2014 TOP COP. . . Come out and join us.